Criteria’s has to be Met in my case. Retain Same Port – WSUS currently Running on Port 80. Downstream servers will be migrated later. Use can use the Same methods to bring a new Server and do the same process. it shouldn’t be a issue. Collected Local Administrators to manually Apply it Again on New server. Restore SQL Database , WSUS Binaries on New Server. Take SQL Backup .bak file of WSUS internal Database. Download SQL Server management Studio and install it . Connect it to the Windows internal Database and take a backup of it. Copy WSUSContent Folder to Safe Location for avoiding downloading the binaries again. Turned off Old WSUS server. Installed WSUS Role . Next Next Leave everything default (Specified Store Updates D:\WSUS in my case). Restore SQL Database on New Server. Take a Backup of the Default Database. 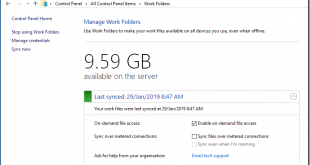 Copy the WSUSContent Binaries Folder – Merge it on the New server – Same location . Now if you have downstream servers. Run Sync it should sync to verify things are fine. Try Unchecking Replica and put it back . Run Sync again. If you used a different name, Update the same. On WSUS 3.2 and earlier, port 80 for HTTP and 443 for HTTPS. Login to a client Machine Windows 7. To verify If it connects ok . Try to Approve some patches and download. After Windows Updates . Databases didn’t Start up. 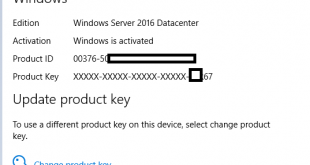 Known Issues 2 – Windows 10 Update Error 0x80070643 Client Side. Press Windows Key + X on the keyboard and then select “Command Prompt (Admin)” from the menu. Stop the BITS, Cryptographic, MSI Installer and the Windows Update Services. To do this, type the following commands at a command prompt. Press the “ENTER” key after you type each command. 5. Type Exit in the Command Prompt to close it. Schema verification failed for database ‘SUSDB’. Great goods from you, man. I’ve understand your stuff previous to and you are just extremely great. I actually like what you have acquired here, certainly like what you are stating and the way in which you say it. You make it enjoyable and you still take care of to keep it smart. I can’t wait to read much more from you. This is really a terrific web site. This is a good post and it helped me out. There are some details that were left out but all in all, this gave me the confidence to succeed. It also showed me that Microsoft makes all this stuff harder than it needs to be. Thanks!